Bigstrong 8 by Grapplearts Enterprises Inc. This is the eighth app in the How to Defeat the Bigger, Stronger Opponent series. This series is designed to give you the techniques and strategies that are especially effective against opponents who are much bigger, stronger, and more muscular than you. You'll also learn how to stay safe and avoid injury on the mats when rolling with heavier grapplers. Sometimes things just don’t go to plan, and you end up pinned, mounted, and fighting off attacks. 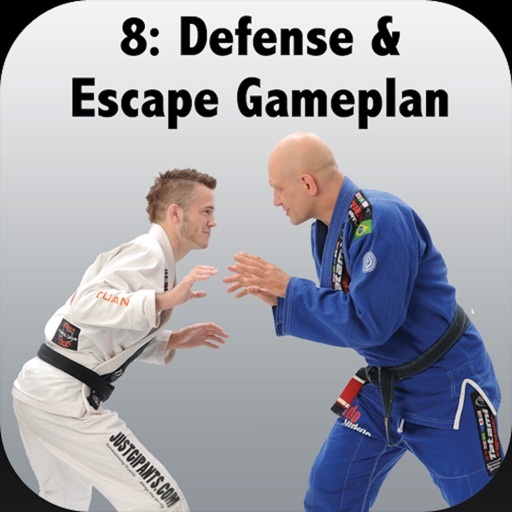 This eighth app, Defense and Escape Gameplan, comes with step-by-step instruction on protecting yourself in bad positions and how to get out of them. These secrets will come in handy almost every time you get swept, taken down, or have your guard passed. 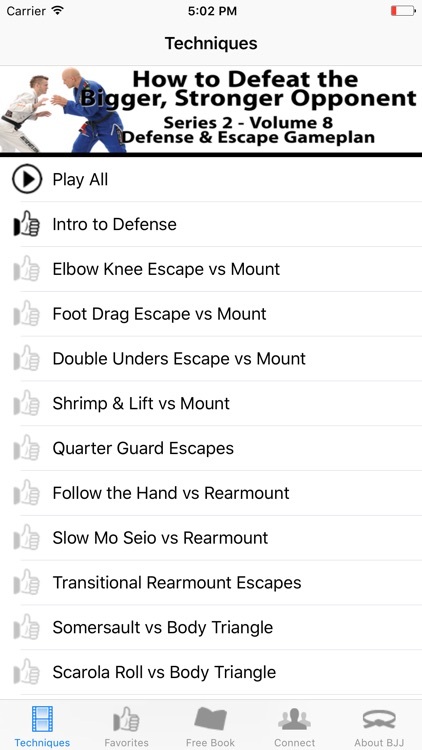 In this app BJJ black belt and world champion Brandon 'Wolverine' Mullins takes you through his best escapes from the mount, technical mount, the quarter guard, rear mount, rear mount with figure 4′d legs, side mount and the turtle. Use these techniques to get out of trouble and get back in the game! Brandon Mullins is a BJJ black belt based out of Houston Texas. A very active competitor, Brandon has tested himself in well over 200 competition matches at BJJ, no-gi submission grappling, and Judo tournament compiling a phenomenal record, both with and without the gi: he's won gold medals at the Black Belt division at the No-Gi World Championships… And multiple gold medals in the Advanced division at Grappler’s Quest… And medals at the Mundials, the Pan-Ams, the US Open, and the Gracie World’s. Stephan Kesting is a BJJ black belt, and a Combat Submission Wrestling instructor. He has been training in the striking, grappling, and weapons-oriented martial arts for over 30 years. A master teacher, he has helped thousands of grapplers improve their skills through his instructional apps, DVDs, online videos and articles at his flagship website Grapplearts.com. 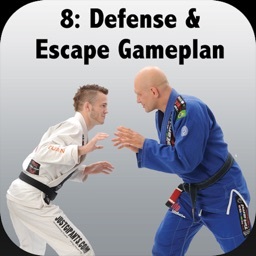 * BONUS: 'The Roadmap for Brazilian Jiu-Jitsu' book for free!